students have to guess the missing words in the paragraph. 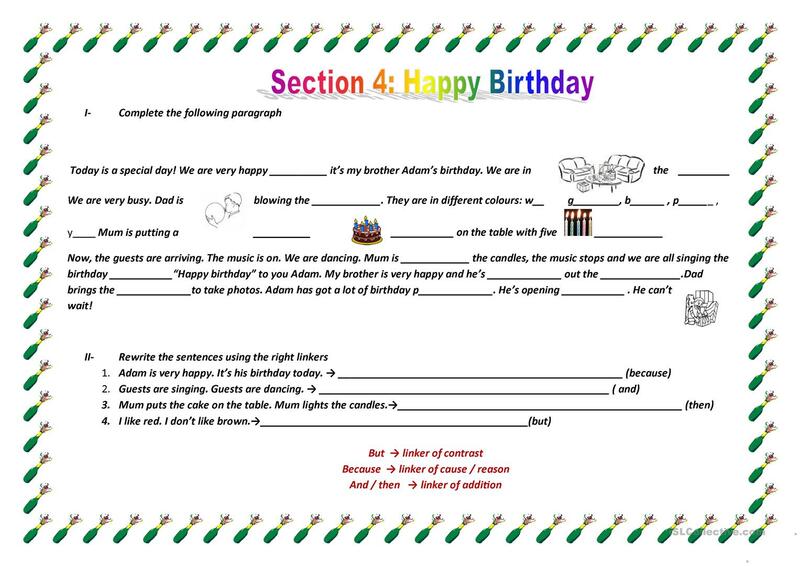 Your students won't be misled as the words are related to the birthday theme! This downloadable worksheet was created for elementary school students at Elementary (A1) and Pre-intermediate (A2) level. It is a useful material for practising Conjunctions (aka connectives, e.g. and, but, or, so, then) in English. It is focused on the vocabulary topic of Birthdays.